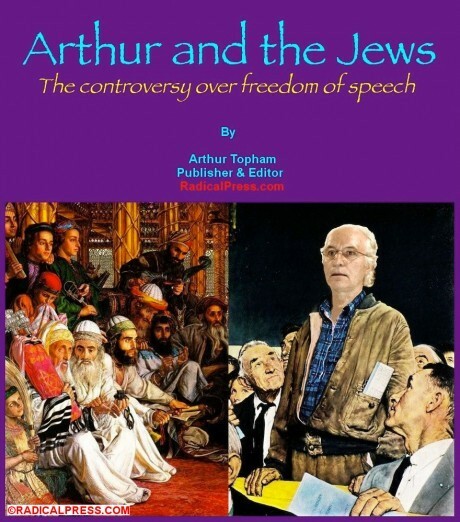 Arthur and the Jews – Arthur Topham's Court Fight Against Jewish Oppression in Our Own Lands | Inside the Eye - Live! Reprinted by request of and permission from the author. Two days from the time of this writing, on October 26th, 2015, a trial in B.C. Supreme Court involving the case of Regina v Roy Arthur Topham will commence in the small city of Quesnel, located in the central interior of the province of British Columbia in an area known as the Cariboo. In essence this isnâ€™t just the trial of Arthur Topham based upon a politically motivated and spurious Sec. 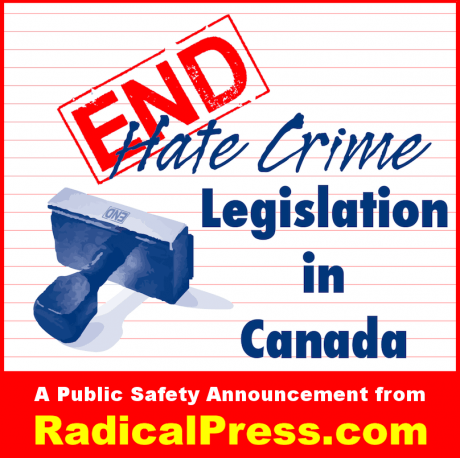 319(2) Criminal Code of Canada â€œHate Propagandaâ€ charge initiated by one of Canadaâ€™s largest Zionist Jew lobby organization, Bâ€™nai Brith Canada. Itâ€™s far more than that. 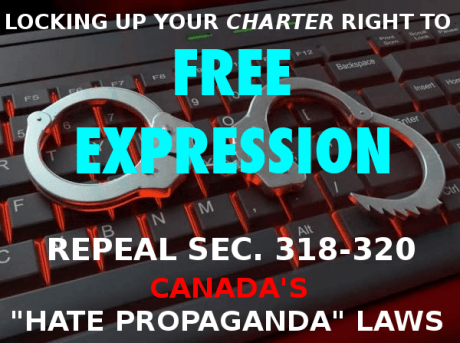 What will be on trial from October 26th to November 6th is the legal entitlement of all Canadians to exercise their Constitutionally guaranteed right to freedom of expression, both on and off the Internet â€“ as written in Canadaâ€™s Charter of Rights and Freedoms, Sec. 2b which states that â€œEveryone has the following fundamental freedoms: (b) freedom of thought, belief, opinion and expression, including freedom of the press and other media of communicationâ€œ. The outcome of the trial will determine whether or not Canada is, in fact, a truly open and free democracy or a nation whose sovereignty and freedom has been compromised by the wilful, premeditated actions of foreign lobbyists inimical to the country as a whole. In other words Freedom of Speech will be on trial. Roy Arthur TOPHAM, between the 28th day of April, 2011 and the 4th day of May, 2012, inclusive, at or near Quesnel, in the Province of British Columbia, did by communicating statements, other than in private conversation, willfully promote hatred against an identifiable group, people of the Jewish religion or ethnic origin, contrary to Section 319(2) of the Criminal Code. B.C. Supreme Court Justice Butler will preside and a jury of twelve men and women will make the final determination of guilty or not guilty. Basically, to narrow it down to its core intent, I am being charged with willfully promoting hatred against people of the Jewish religion or ethnic origin based upon the multitude of articles and online books which I have published on my website prior to and since April 28th, 2011 when the complaint was officially laid against me by Canadaâ€™s most controversial serial complainant in the history of the human rights industry. Within a month of the first complaint being laid a second individual, an agent working for the League of Human Rights of Bâ€™nai Brith Canada, also filed an identical charge. Upon receiving the complaints, the head of the BC Hate Crime Team, former Det. Cst. Terry Wilson located in Surrey, B.C. along with his partner Cst. Normandie Levas, initiated an investigation into the allegations. What was unknown to me at the time was that all three of these individuals knew each other and had known each other in some cases for as long as fifteen years and all three of them were in the â€œbusinessâ€ of hunting down and attacking individuals and website owners who were being critical of the foreign Zionist state of Israel and/or its ideology known as Zionism. In fact the two complainants in the Sec. 319(2) complaint were known to be friends and associates as far back as 2007 when one of the same complainants, a Zionist Jew working for Bâ€™nai Brith Canada first laid a similar complaint against my person and my website RadicalPress.com using the now repealed Canadian Human Rights ActÂ legislation known as Sec. 13. In other words I have been attacked by this foreign Zionist lobby organization now for the past nine years and have been in a constant battle with them to retain my basic human rights. The whole of Crownâ€™s case rests upon the key terms â€œwillfullyâ€ and â€œhatredâ€, which, in the case of the latter term â€œhatredâ€, any person of common sense will realize, is a word that, like its opposite, â€œloveâ€, is imbued with multiple meanings, all of which are based upon subjective emotions of one type or another. Now there are some serious problems that accompany an allegation which accuses a person of â€œhatingâ€ a whole â€œidentifiable groupâ€ such as the â€œpeople of the Jewish religion or ethnic originâ€ based upon not only his own writings but also the written works of dozens of other writers, journalists, video producers, talk show hosts, artists, musicians and so on and these problems will undoubtedly come up during the course of the trial. 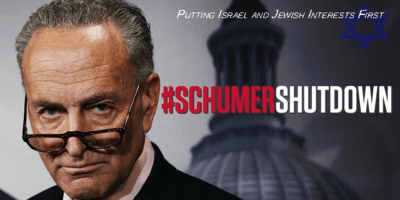 Without going into too much further detail surrounding the spurious nature of the charge of promoting â€œhatredâ€ toward all the Jews of the world (an accusation arising from comments made to me by former Det. Cst. Terry Wilson during the time I was incarcerated after my arrest on May 16th, 2012) I would rather focus on letting readers know a bit about who I really am and what my life has been all about since at least the year 1967 when I first became involved in what is now commonly referred to as â€œpolitical activismâ€ or â€œsocial activismâ€. I was twenty years old and in my second year of university at Simon Fraser University in Burnaby, B.C. in 1967. For those who were too young to remember the Sixties or werenâ€™t born yet, it was a period of history not that different from the world weâ€™re now living in. Wars were rampant then as they are now. Protests and civil rights and civil liberties were still in their nascent stages of development relative to todayâ€™s scene but people were demanding their rights in the Sixties just as they still are today. Police brutality and corporate crime and political corruption were as widespread then as they are now and the mainstream media in 1967 was basically just as controlled by the Zionists as it is today. The only fundamental difference really was the sudden and unexpected appearance throughout Western society of what became known as the Hippie Movement. It was that previously unheard of phenomenon that attracted me and countless others and became the focus of my life; one which has never ceased or abated since I first became involved with it. The watchwords of the Hippie Movement were â€œLoveâ€ and â€œPeaceâ€ and our collective efforts to manifest those two positive, life-enhancing moral qualities throughout the war-torn society of our day were what inspired millions of my generation to work toward a world where violence and war and terror and hatred would end forever to be replaced by the fundamental Christian values and precepts taught by Jesus Christ, values that included learning to love each other and respect each other as well as caring for the Earth Mother that sustained us all. These were my guiding principles throughout my life and remain so to this very day. With that in mind the accusation of the Zionist lobbyists, when it comes to dealing with their own hatred of anything or anyone who doesnâ€™t support their ideological objectives or the actions of the foreign state of Israel and its parallel objectives, that every critic of their political agenda â€œhatesâ€ all the Jews in the world is utterly preposterous and beyond all comprehension. Having fashioned the term â€œhatredâ€ into a twisted, Talmudic talisman of loathing and contempt through generations of endless propaganda emanating from their own controlled media and then inserting the word into Canadian jurisprudence via legal subterfuge and political influence, they now feel that they have the judicial wherewithal to attack their perceived enemies and somehow stem the unstoppable tide of political and spiritual awareness that was birthed in the Sixties and then embellished beyond comprehension and control in Nineties with the advent of the World Wide Web. The controversy surrounding the Jews throughout history has now reached the point of culmination. Their mission to stop the truth from being revealed. whenever it applies to their own culpable actions, by using the criminal court system to attack the truth revealers is doomed to end in failure just as their efforts to stop the Internet from exposing their heinous acts of terror and murder and destruction perpetrated upon the defenceless Semitic people of Palestine has proven to be unstoppable. The Age of Orwellian Censorship is coming to an end and it behooves all people of all races, nationalities, ethnicities and colour including the Jews to recognize that no single group of people has the right or the power or the ability to stem the tide of evolutionary consciousness thatâ€™s now happening on this planet. Itâ€™s for these basic reasons that I have fought against the Zionist efforts to control our basic human rights over the past nine years. Now we will see if the country is willing to protect its most precious of gift â€“ the freedom to speak oneâ€™s mind and express oneâ€™s views on whatever issues they deem of value to sustain our God given right to live in peace and happiness without fear and war. I pray that God will grant us the wisdom to choose freedom over censorship and love over hate. Please help out with my upcoming Sec. 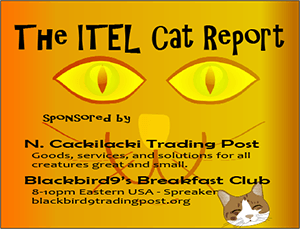 319(2) â€œHate Propagandaâ€ trial that commences in one week on October 26thÂ by making a donation. Donations can be made online via my GoGetFunding site located atÂ http://gogetfunding.com/canadian-publisher-faces-jail-for-political-writings/Â or else by sending cash, cheques or Money Orders to the following postal address.